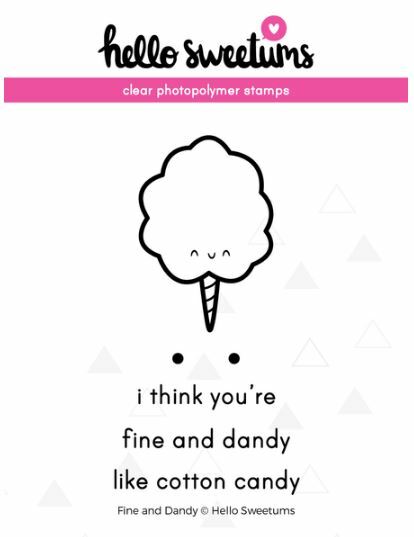 Fine and Dandy by Hello Sweetums is a 3″ x 4″ clear photopolymer stamp set. It includes 3 stamps (1 sentiment + 2 images). How cute is this cotton candy / fairy floss stamp set, including a set of little cheek blushes, and a sentiment to let someone know that they are, indeed, fine and dandy like cotton candy.